Lately I have really been loving my makeup routine, so I thought why not share it on the blog! It is super light for summer but keeps you looking put together even in the hot heat of the south. 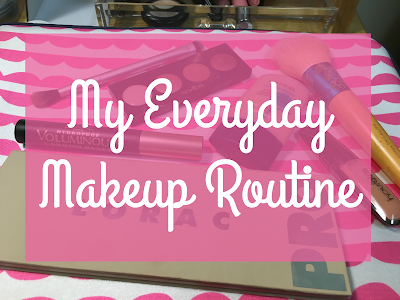 I hope this post is helpful because it is a real makeup routine by a normal person. It isn't super glam or fancy it is just what I do everyday for day to day life. I was really inspired to write this post, because I fell in love with this covergirl foundation. It is perfect for my dry skin and helps to keep my skin hydrated all day long. I also just got the Lorac Pro Palette 3 and have been so in love with it, the colors are so pretty and so wearable for everyday. I hope you all enjoyed this post! Let me know what your favorite makeup product is in the comments.